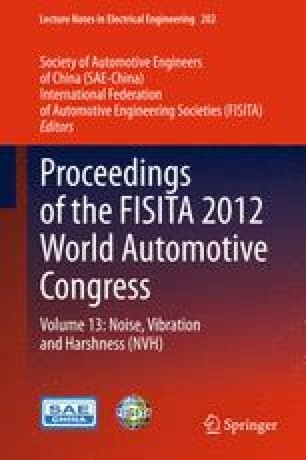 The chapter introduces the shimmy mechanism caused by self-excitation components for a vehicle while shimmy is identified at 120 km/h. The Operating Deflection Shape (ODS) analysis used for the chassis from 90 to 140 km/h. The front-right lower arm is identified as the shimmy cause by analysis of movement characteristic change of the chassis components.